If What’s the Price focused generally on external threats to the continued survival of black people, Seeds turns inward, to themes of balance and perseverance, self-actualization, and keeping your feet on solid ground. On songs like “Sand Houses,” Proper-T and MMYYKK duet, with lush vocals wrapping around and layering upon one another before Grease drops in for a quick, slickly rapped verse. It’s an idealized version of what ZULUZULUU were working towards—life lessons without judgment or dogma, over music that’s historically grounded but doesn’t cash in on cheap nostalgia. Then there are welcome new directions with dance-floor ready numbers like “Jerkin” and “Arms” that draw on the pulsating rhythms of house music. 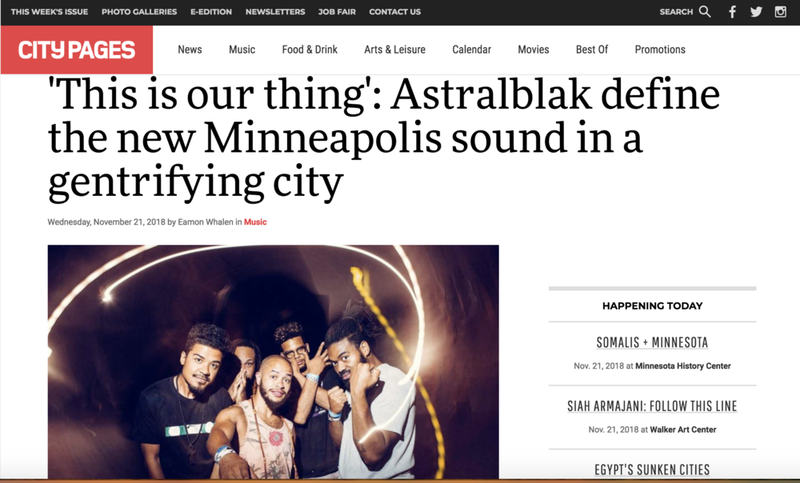 As astralblak pull inspiration from an increasingly wider range of sounds, that speaks to the expansiveness of black musical expression. While globally minded, they also consciously pay homage to a regional lineage. Pieces of different Midwestern industrial hubs run throughout their music: the Ohio funk of Zapp & Roger, Bootsy Collins, Slave or Ohio Players; the house music of Frankie Knuckles in Chicago; and the different eras of Detroit, from Curtis Mayfield to Moodymann to Jay Dee.